"I know of no other psychotherapist who, in one decade, has so positively impressed people." 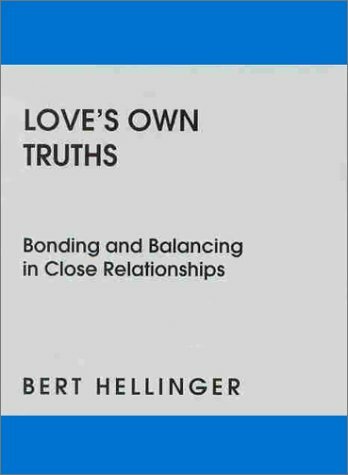 In the three short years since the publication in English of Love's Hidden Symmetry, Bert Hellinger has traveled light years toward an even greater understanding of the intricacies of relationship and resolution. Love's Own Truths represents another important milestone in the search. For readers, the book is a compass left at the side of the road. We can leave it there -- afraid that we may have to change course -- or we can pick it up to see where it directs us.